Find out which type of fire extinguisher you need based on the hazards you need to protect against. 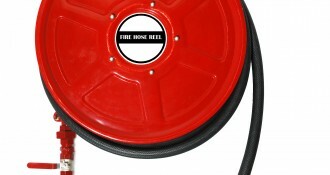 Discover our range of quality and affordable fire extinguishers, fire blankets, and fire hose reels. Regular equipment testing and maintenance to Australian Standards 1851 is required for your compliance. While there are compliance laws in place, your technician isn’t required to have any particular training or qualification to ensure you meet those compliance laws (and often don’t care if you do or not). How can you make sure you meet compliance standards? Is your current supplier fully trained and accredited? Are they properly insured for public liability and professional indemnity? Do they have a current National Police Clearance? If the answer is ‘no’ to any of the above, you run the risk of your insurance company rejecting a claim in the unfortunate event of a fire. Don’t take that risk, contact Firechief today on 0412 105 872 for a free compliance check. At Firechief we only work with the best products available, because we believe when it comes to safety there is no compromise. All of our products come with a 1 year warranty against defects and with our regular inspections your equipment will be maintained to the highest standard. We only deal with the three major fire extinguisher importers in Australia, their products are all approved to Australian Standards therefore ensuring all clients are using the best possible equipment. 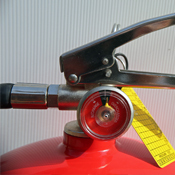 We do not stock lesser quality fire extinguishers that you may find at hardware and auto stores and have no intention of lowering our standards. You can see all our high quality products here.